STATUS: flybuys and Etihad Guest ended their partnership on 31st July 2018. 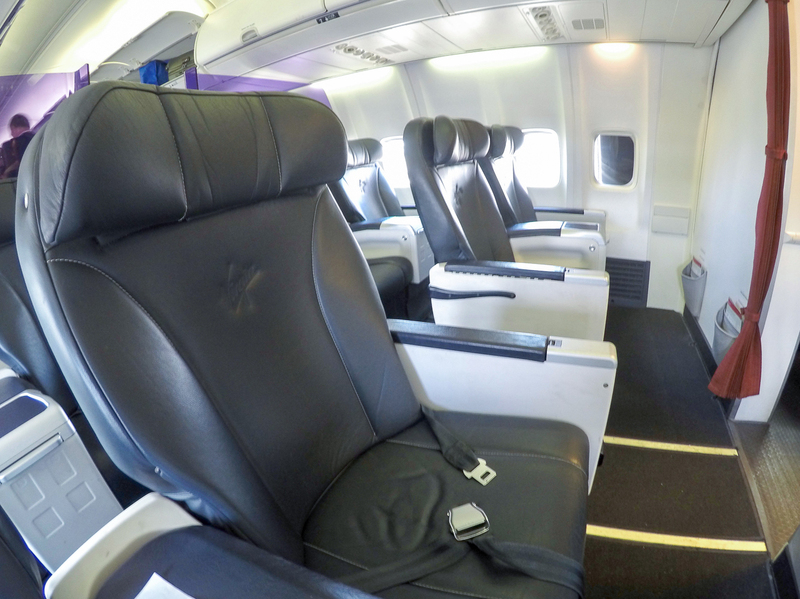 A final blow to a relationship that has been suspended since December 2017.
flybuys are becoming more and more useful for frequent flyers, but despite having numerous partners, opportunity for earning points is still limited. In this guide, we explain how products offered by Coles Financial Services can increase your flybuys points earn from your spend at Coles checkouts by up to six times. If you are new to flybuys or you’re not sure what you can use your points for, you can check out our beginner’s guides to earning and spending flybuys. Coles Financial Services offers car, home and life insurance, along with the Coles Rewards and Coles No Annual Fee MasterCards. Holding one or more of these products from Coles adds on another ‘stacking’ option to increase your flybuys earn. We are not commenting on the suitability of any of the insurance policies or credit cards offered by Coles in this guide – you’ll need to do your own research and assess whether they suit your needs and preferences. This guide is to explain how the mechanics of their bonus flybuys points benefit works if you do decide to choose one of their services, and we aren’t recommending you pick up a policy just for the bonus points. One key thing to understand is that the bonus points on offer are linked to your supermarket spend at Coles, so this is about rewarding how much you spend with them. 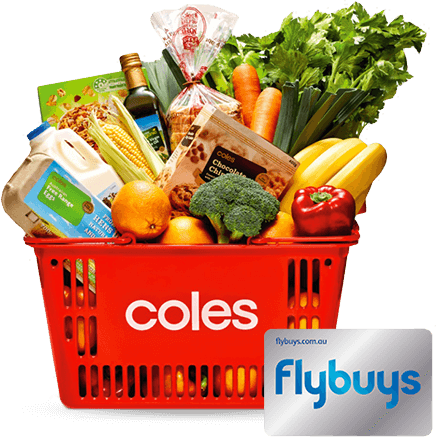 If your grocery bill or your preference/ability to shop at Coles is limited, so will your opportunities to earn bonus flybuys. Another aspect to consider is that Coles credit cards are used in the stacking comparison offered on the Coles and flybuys website. However, you earn bonus flybuys from spending on the cards everywhere, not just at Coles, so this isn’t a unique benefit to your Coles spend. Regardless, if you do have policies or credit cards from Coles, here’s how they can increase your flybuys points earn. We’ve used an example of a flybuys account holder spending $200 weekly on Coles groceries. It’s worth nothing, though, for bonus points at supermarkets on credit card spend alone, you may be better served for earning more points by one of the American Express supermarket bonus point cards, such as the Platinum Edge, which earns 3 Membership Rewards points per dollar (transferable to 3 Velocity points), which is a much greater return. If you take out an insurance policy with Coles, you will earn an extra 1 flybuys point for every dollar you spend at Coles; if you have two policies you will earn an extra 2 points, and so on. So if you hold all three types of insurance, you will earn 4 points for every dollar you spend at Coles – one regular point and 3 bonus points. When it comes to car insurance, only comprehensive cover will get you the extra points – there are no extras for third party insurance. Coles also offers landlord insurance, but this won’t get you any extra flybuys points. Without a bespoke offer, the policies don’t offer bonus points just for taking them up. You have to spend at Coles to earn the bonus points, but occasionally Coles do offer bonuses for new customers, especially on car insurance, so keep an eye out for those. It is worth noting that you can only earn a maximum of 1000 extra points per month for each policy. To reach the maximum, however, you’d need to be spending more than $250 per week at Coles. Also, having these policies won’t get you extra points when shopping with all flybuys partners; only when you shop at Coles and Coles Express. You also won’t earn any extra points on gift cards or tobacco. 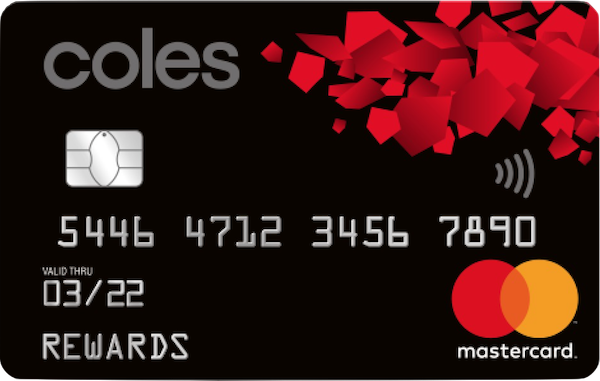 The Coles Rewards card has an $99 annual fee and 2 flybuys points earned per dollar spent and no cap on the amount of points you can earn, which is competitive in the current Visa/MasterCard market. 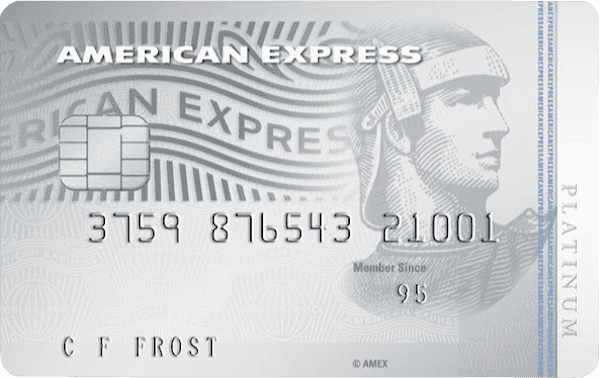 There is also a ‘Platinum’ version of the same card with essentially the same benefits if you’re offered a $6,000 or greater credit limit. The No Annual Fee Rewards card has a lower flybuys earn earn rate of 1 flybuys point per $2 spent; or said another way, 0.5 flybuys points per $. Finally, there is the Low Rate credit card, plus prepaid and reloadable cards on offer from Coles Finance too. You will earn points everywhere you use the Rewards or No Annual Fee cards, not just at Coles. However, when you do use these cards at Coles the points will be on top of the 1 point you would ordinarily earn. That means that using the Coles Rewards Card, for example, will earn you 3 flybuys points per $1 spent at Coles supermarkets (1 normal + 2 bonus from the card). It’s pretty simple to use Coles credit cards and insurance to speed up your flybuys earnings, if they suit your needs. Depending on which products you have, you can earn a bunch of bonus points, but only for spend at Coles. If you are in the market for insurance, Coles are definitely worth exploring. Not only can you potentially increase your flybuys points, they also offer a price beat guarantee on some products. Images courtesy Coles and flybuys. That’s what I thought, but on closer inspection of my statement I am actually being punished for shopping at Coles with my Coles Rewards Mastercard and linked Flybuys. In my case when I swipe my Flybuys card and pay using the Coles Rewards Mastercard my earn rate recorded on my Flybuys statement is 1 point per $ spent (not even the regular 2 points per $ that I get everywhere else using the Mastercard). So a $35 spend at Coles supermarket earns me only 35 FB points – and not 70 (via Coles MC) + 35 FB. An identical spend at Woolies, if paid for using the Coles MC, would earn me 70 FB points! I haven’t got around to questioning this with Coles Financial Services, because of course they have no email address for me to put it in writing and scan and send transaction history info to. You can order a linked Flybuys card for family members to use. Ideal if your loved ones have no interest in points. Also, a key redemption offer with Coles is $10 off your shop for 2,000 points. Given it can be difficult to redeem or you may not have enough points for a flight award – this is an easy way to put guaranteed cash back in your pocket. Those points aren’t going to be wasted! Coles immediately offer you the $10 off at the register: no forms & no hassles. Going into Coles for $15 of groceries and paying $5 is a satisfying experience.